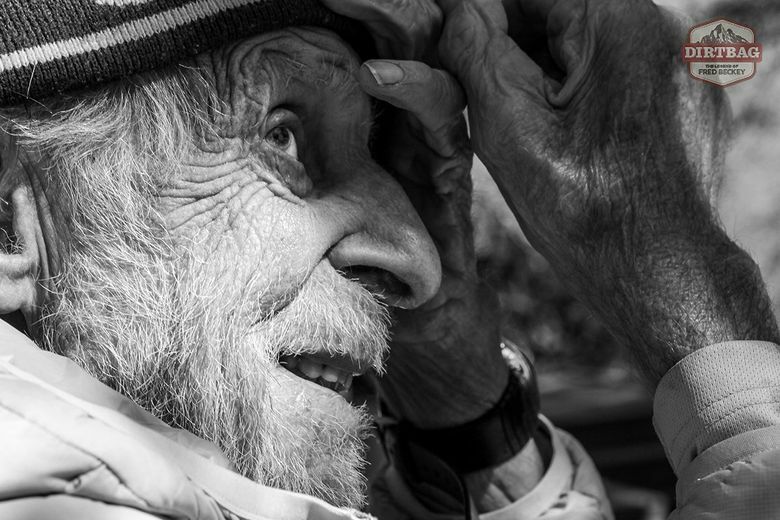 “Dirtbag: The Legend of Fred Beckey,” which premieres locally at the Seattle International Film Festival on June 4, examines the single-minded exploits of gruff Northwest climbing icon Fred Beckey, who is now 94. If you’ve ever thumbed through a Cascades climbing guidebook, you’ve no doubt seen the name Fred Beckey, who earned his ubiquity by being the first to climb dozens, if not hundreds, of peaks near and far. 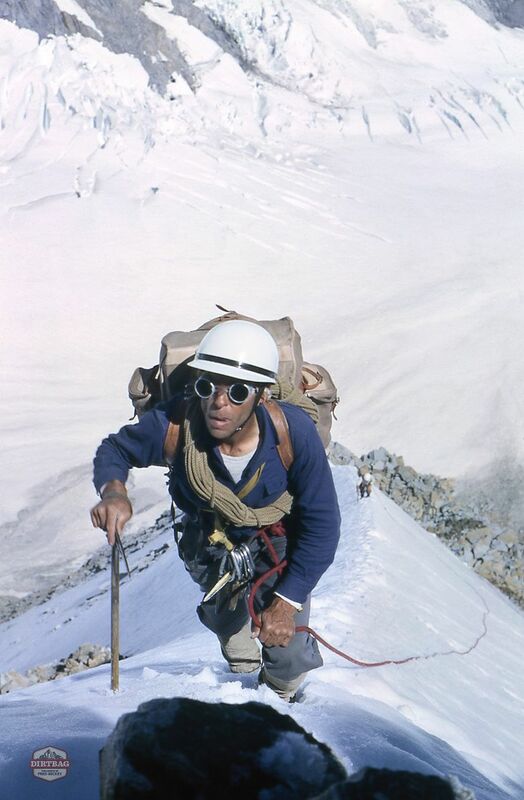 Beckey, who grew up in Seattle and is now 94, fastidiously documented the routes he charted, publishing how-tos on his pioneering ascents and historical elegies to the region’s mountains. “Dirtbag: The Legend of Fred Beckey,” which premieres locally at the Seattle International Film Festival on June 4, documents Beckey’s extraordinary life in the mountains and his unique approach. ‘Dirtbag: The Legend of Fred Beckey,’ Directed by Dave O’Leske. 96 minutes. Showing at SIFF June 4 and June 10. The film portrays the famously churlish Beckey as a road-tripping vagabond with few creature comforts and even fewer anchors in life, save for the unclimbed mountains shouting his name. In climber speak, he was a dirtbag — the sport’s original – and likely its finest. The film, which was shot and produced over a decade, meanders through Beckey’s career and draws on a wealth of beautiful archival footage shot in the high alpine, some of it provided by Beckey himself. Standoffish with the camera, for most of the film Beckey largely avoids self-reflection outside of describing his climbing trips in impressive detail. 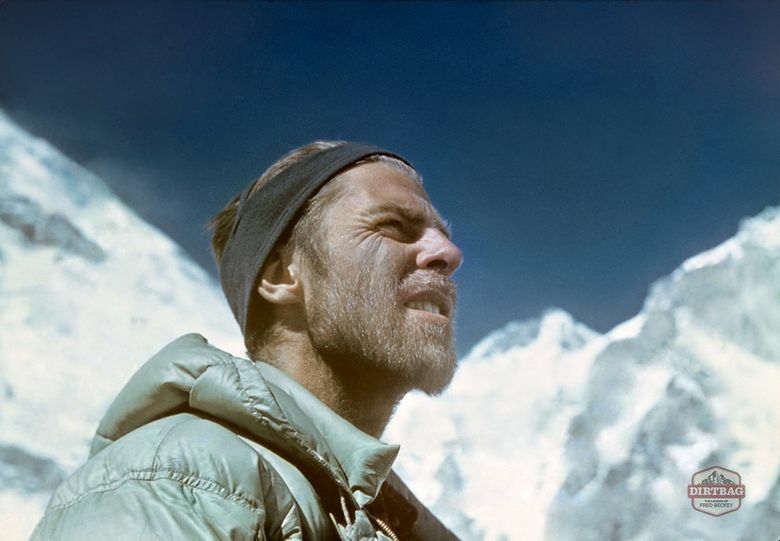 Instead, Beckey’s character is revealed in candid moments captured by filmmakers during climbs with him and also through interviews with famous climbing contemporaries (and a few of the perpetual bachelor’s romantic interests, too). “I suppose you could say he’s like the Bob Dylan of mountain climbing. All these great achievements, but completely inscrutable and no one’s sure if they like him or not,” said one contemporary. One climbing partner recalled how Beckey, who lived a spare and penny-pinching life to support his climbs, became upset when his partner threw away a crusty, year-old McDonald’s cup. The cup was Beckey’s ticket to free coffee refills, he learned. At times, the movie lingers too long on Beckey’s climbing resume and in noting the quirks of his tunnel-minded approach to the sport. If you’re not a climber, the film could feel unfocused at times. It’s at its best, though, when examining the costs of single-mindedness (neglected relationships) and in exploring aging as Beckey embarked upon ambitious climbs into his 90s. To watch the octogenarian clamber up slabby, exposed cliffs seems to be a testament to grit, but also a view of a stubborn old man’s refusal to reckon with reality. Without climbing, who would he be? By the film’s end, Beckey’s gruff demeanor cracks a bit and filmmakers are able to coax introspection. Does the dirtbag label fit? Hardly, he says.